Crow Canyon Software previously offered separate webparts. These have now been consolidated into NITRO Studio. Crow Canyon’s Reports, Dashboards, & Charts App enhances SharePoint Online and Office 365 with graphs, tables, and charts. 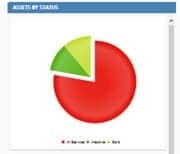 Create visually appealing charts directly in Office 365/SharePoint Online using data from any SharePoint Online list. 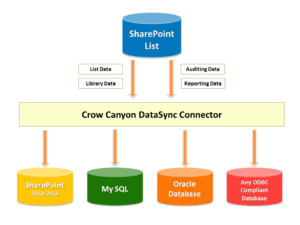 Crow Canyon’s DataSync and Auditing Tool web part exports and synchs SharePoint lists, including details of field changes and version history, with SQL and other databases.